Although there are various types of print photo storage systems (the shoebox style is perennially popular), few provide a way to easily view photos in addition to storing them. The Fotoview Photo Organizer Box allows you to view, store and organize up to 300 4-inch by 6-inch photo prints in six compartments made of clear plastic. The compartments are attached to a base and angled to swing open and closed. 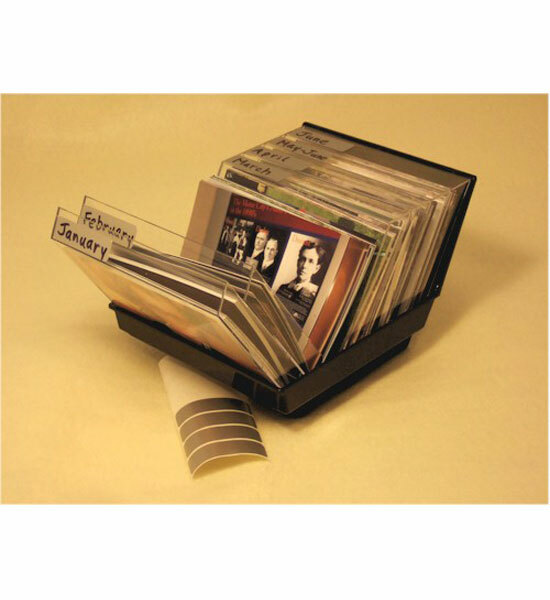 This photo organizer can also store various photo discs and CDs. Labels are included which make it easy to clearly mark each photo storage compartment, and the entire unit is made of acid-free plastic. Picture Pockets are hanging photo holders that store and display up to 80 4-inch by 6-inch photos in 40 double-sided pockets (you can insert photos on both sides for twice the storage). This type of “hanging photo gallery” can be hung on a wall or even from the ceiling. 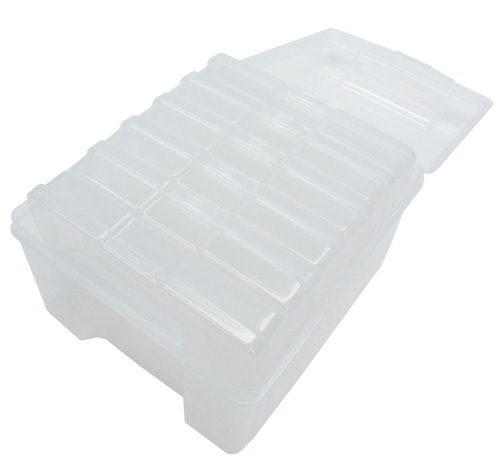 The clear Plastic Photo Storage Box comes with six individual removable cases that hold 100 4-inch by 6-inch photos (for a total of 600 photos); the cases all fit neatly inside the box. Constructed of transparent acid-free plastic, the cases provide a simple way to organize your photos by event, chronological order or any way you see fit. The box and each of the cases snap closed to ensure safe storage of your photographs.